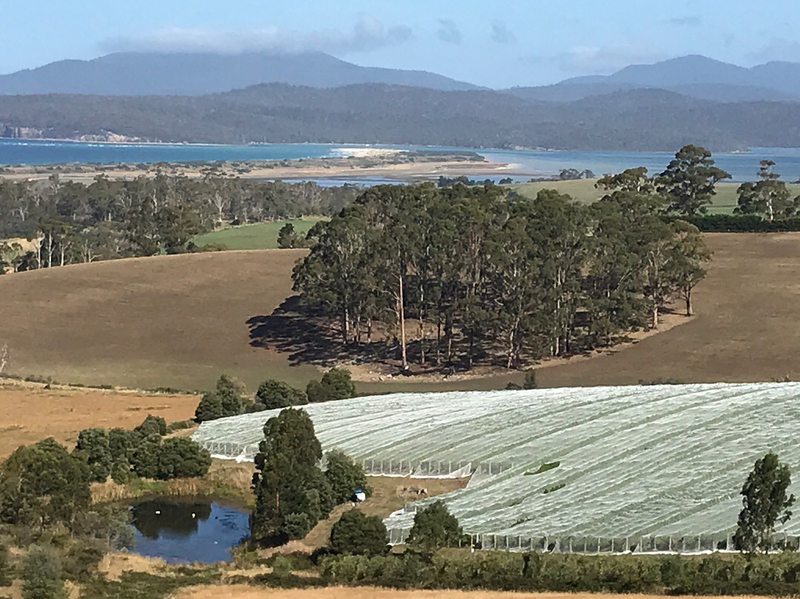 Cape Bernier is located in the pristine environment of Bream Creek and Marion Bay that is great for producing fantastic cool climate wines. We love to have visitors and those of you that do make the effort to come out for a visit won’t be disappointed with Alastair happy to give you a guided tour. We do ask however that you book your visit in advance. We recommend that anyone doing the drive out to visit us also take time to stop at some other attractions in and around Bream Creek, Marion Bay and the Tasman Peninsular. Eaglehawk Neck has coastal rock formations – the Tasman Arch, Blowhole and the Devil’s Kitchen – the Tessellated Pavement, great fishing and diving. Port Arthur is of course famous for it’s Historic Site and convict heritage. Cape Bernier is about half way from Hobart to Port Arthur. Staying within the immediate Bream Creek area, we suggest that you visit Vines and Designs at the Copping Museum – they have great food and beverages, local art works, and the legendary Colonial Museum! It’s a great place for coffee or lunch, and to fill an hour or two. Vines and Designs also feature a selection of regional wines including Yaxley Estate, Norfolk Bay, Six Friends, Bream Creek and of course Cape Bernier too. They also offer a selection of spirits and liqueurs and Gillespies alcoholic ginger beer another product of Bream Creek. We also recommend lunch at the Waterfront Cafe, Dunalley. Ben and Steph have a great lunch menu and also feature Cape Berniner wines on their wine list. 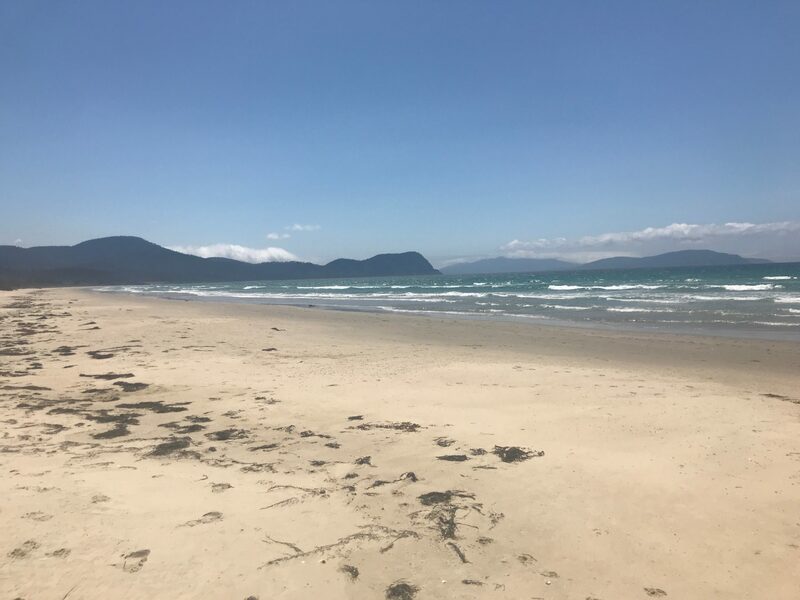 Marion Bay beach is about 4 km of beautiful sand and makes a great place to stop, chill out and restore the senses with a long walk along the beach. The beach and dunes are a bird sanctuary. If you are planning on visiting in March, the 3rd Saturday is the ever popular Bream Creek Show. Being a good member of the Bream Creek community Cape Bernier always has a stand at the Bream Creek Show where our wines and other products are available for tasting and sales. We are more than happy to provide some other ideas or tips on places to visit on your way to and from Cape Bernier. Feel free to contact us and we’d be happy to answer your questions when you make your booking to visit.